The Jeffersonville Public Arts Commission is calling for entries for multiple art projects from local professional artists and talented hobby artists alike. Visit www.jpac-art.com for additional information and applications. The Jeffersonville Public Art Commission and the Redevelopment Commission are seeking artful designs for permanent, outdoor public bench seating to be located along the sidewalks of Chestnut Street in Historic Downtown Jeffersonville. The pieces created should be designed to fit at least three people comfortably. A total of 4 designs will be selected. AND WILL CLOSE – May 2, 2014 by 3:00 p.m. The City of Jeffersonville and the Jeffersonville Public Art Commission with the assistance of ‘Mammoth’ serving as Public Art Administrator, seek to commission the creation of sculptural and/or landscape interventions that are monumental, oversized or that make intentional use of the land through innovative and thoughtful design. It is our intention to select a project that is highly site-specific and emerges from a strong, design-oriented tradition of creative practice. From the submissions, a total of 3 semi-finalists will be contacted. AND WILL CLOSE – May 12, 2014 by 3:00 p.m. The City of Jeffersonville and the Jeffersonville Public Art Commission are seeking designs for permanent, artist-designed outdoor bicycle racks to be located throughout the City of Jeffersonville. 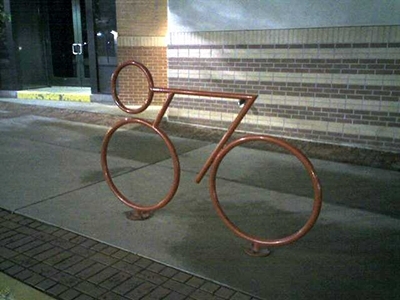 The purpose of the racks is to provide places where cyclists can safely secure their cycles. The racks will also aesthetically enhance the environment. A total of 7 designs will be selected….2 large, 2 medium and 3 small. The City of Jeffersonville and the Jeffersonville Public Art Commission in collaboration with the Jeffersonville Street Department are seeking artists or art teams to assist with the replacement of old crosswalks within the Historic Downtown District with something distinctive and unique and artist designed. 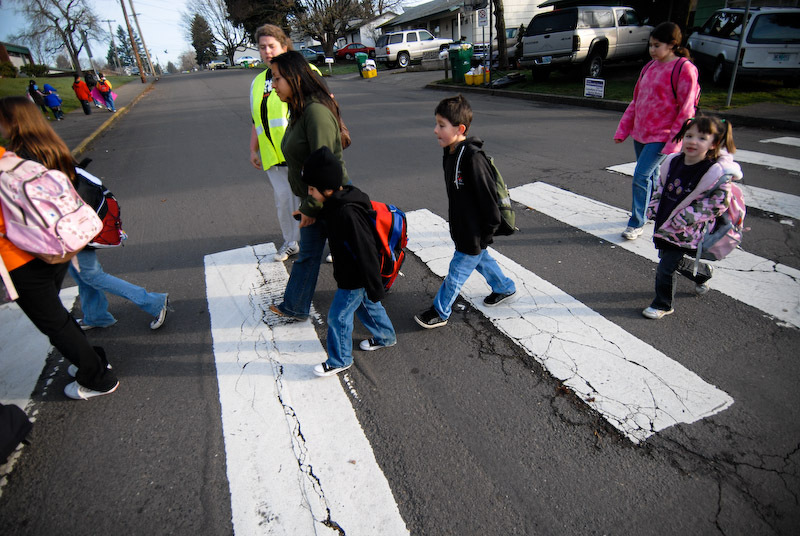 The new crosswalk compositions will be compliant with traffic and safety regulations. The project goal is to enhance the pedestrian experience, give better definition to Jeffersonville’s Historic Downtown district and provide an additional public art experience for our citizens. A total of 4 designs will be chosen. AND WILL CLOSE – July 18, 2014 by 3:00 p.m.